This standard was published in July of 1991. The purpose of EIA/TIA 568A, was to create a multiproduct, multivendor, standard for connectivity. Prior to the adoption of this standard, many “proprietary” cabling systems existed. This was very bad for the consumer. Among other things, the standard set the minimum requirements for cat5e cable, patch cables/patch cords and network hardware. The 568 “standard” is not to be confused with 568A or 568B wiring schemes, which are themselves, part of the “568A standard”. Ethernet cabling that satisfies the criteria for the EIA/TIA-568 standard’s Category 3, which allows data transfers up to 10Mbps. We use this for basic telephone and will not support data. A multipair (usually 4 pair) high performance patch cable that consists of twisted pair conductors, used mainly for data transmission. Note: The twisting of the pairs gives the patch cable a certain amount of immunity from the infiltration of unwanted interference. cat5 UTP cabling systems are by far, the most common (compared to SCTP) in the United States. Basic cat 5 cable was designed for characteristics of up to 100 MHz. Cat5 cable is typically used for Ethernet networks running at 10 or 100 Mbps. Same as Cat5, except that it is made to somewhat more stringent standards (see comparison chart below). The Cat5e standard is now officially part of the 568A standard. Minimum Cat5e cable is recommended for all new installations, patch cords and Ethernet cables. An 8 conductor, compact, modular, female jack that is used to terminate cat5e patch cables at the user (or other) location. The jack is specifically engineered to maintain the performance of cat5E cabling. A Cat5e Patch Panel is basically just a series of many cat5e jacks, condensed onto a single panel. Common panel configurations are 12, 24, 48, and 96 ports. Patch panels are typically used where all of the horizontal Ethernet cables meet, and are used to connect the segments to the Network Hub. 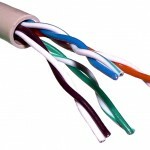 A Cat5e Cable consists a length of cat5e cable with an RJ-45 male connector, crimped onto each end. 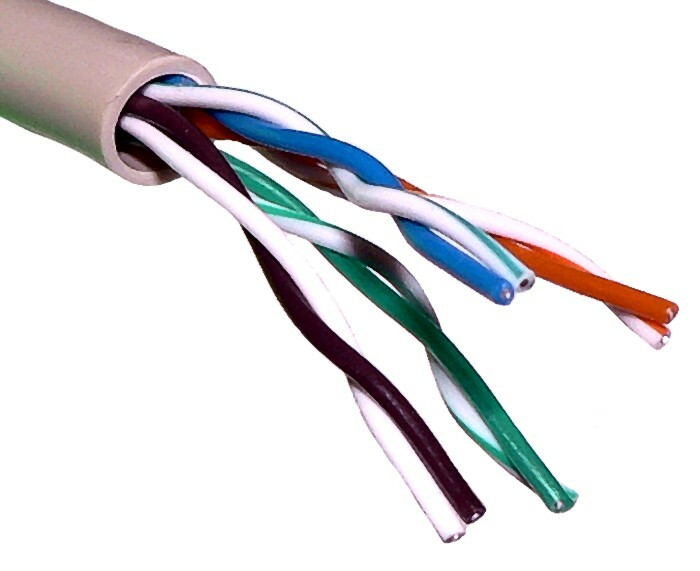 The patch cable assembly is used to provide connectivity between any two cat5e female outlets (jacks). The two most common are from hub to patch panel, and work area outlet (jack) to the computer. The technology in which communication signals in the form of modulated light beams are transmitted over a glass fiber transmission medium. Fiber optic technology offers high bandwidth, small space needs and protection from electromagnetic interference, eavesdropping and radioactivity. This is used also when either Cat5e or Cat6 is used for distances over 295 feet. We specialize in single mode, multi mode, indoor or outside plant (OSP). Coaxial cables are used primarily for CATV and other wideband, video, or rf applications. Sunrize can install RG59, RG6, RG11 (for feed) we can also install coax for your Cable TV or Direct TV needs consisting of home runs without splitting the signal.